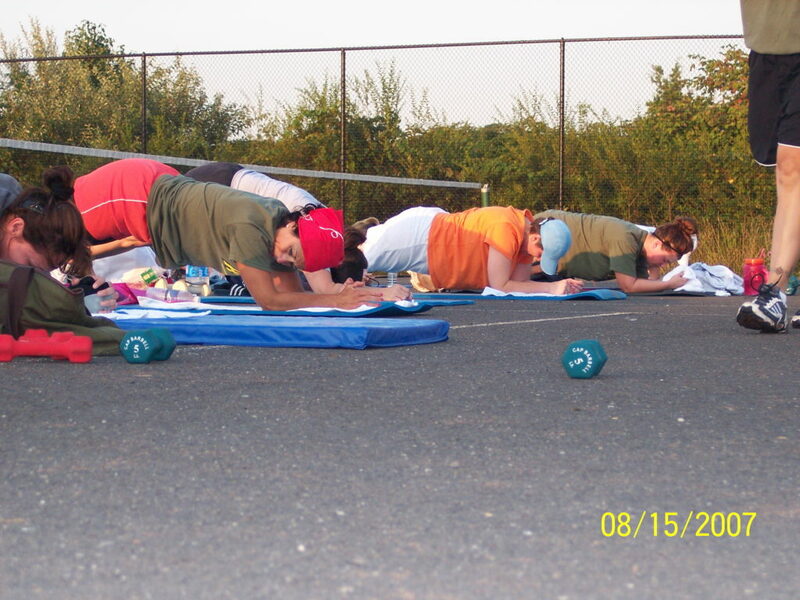 What is Garden State Adventure Boot Camp for Women? A four-week dynamic indoor/outdoor program of fitness instruction, nutritional counseling and motivational training. You will be inspired and have fun while participating in a fantastic workout led by Certified Adventure Fitness Trainer, Sherree Hoskins. Each day, camp will be one hour in length starting at 6:00 am in the morning!! NOBODY will be left behind or asked to complete more than they are capable of doing safely. Nor will anybody go home unchallenged! Women of all ages, sizes, shapes and abilities are welcome to participate. Each day will slightly increase in intensity. You will inspire and be inspired by others. We meet at The Bridgewater JCC at 775 Talamini Road. We have both indoor and outdoor facilities so we never have to cancel due to inclement weather. In addition, we have locker rooms and shower facilities for any campers who may need to get ready for work following our session. Exercises include: Core conditioning, short distance running (less than one mile), muscular strength, jumping rope, circuit training, sport yoga, fitness kick boxing, pilates, sport drills, obstacle courses, fitness games, surprises, and more! Participants will meet 3 days/week – Monday, Wednesday & Friday. 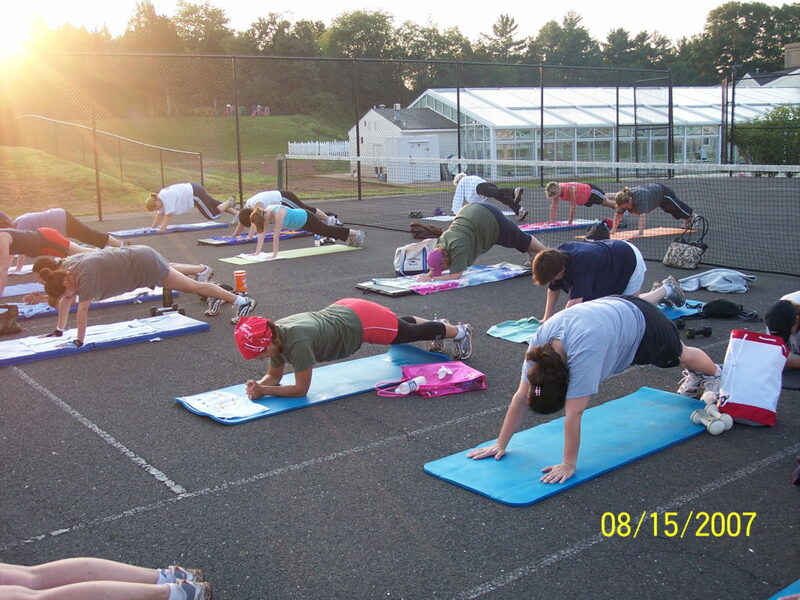 Our instructor leads Boot Camp each day for one hour during the four-week program. All participants will be expected to arrive on time. An exercise mat, one set of small hand weights (5 – 8 lbs), water bottle, running shoes, a good attitude and a sense of adventure. You can purchase mats and weights at Walmart, Target, Sports Authority, Reps Fitness Supply or other sports equipment stores. Reps Fitness Supply offers a special discount for our campers. Just mention that you are a new member of Garden State Adventure Boot Camp when you go in and they will take care of you. Each four-week boot camp has a registration fee of $239 for 12 hours of instruction! That’s just $19.95 per hour. Where else can you get premiere or cutting edge fitness instruction for that incredible price? Personal trainers can typically charge $60 to $120 per hour for their services – this is a great opportunity to receive motivating fitness instruction by a certified personal trainer for just a fraction of the cost. You can also choose to come 2 days-per-week if your schedule conflicts with our 3 day program. Total cost is just $179. Note: Even greater results occur when you enroll in the full 3 days-per-week program. We are now accepting pre-registration for the next camp. 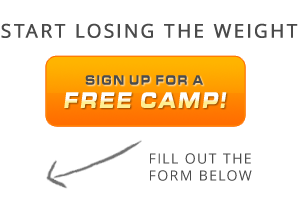 You will get your pre-camp evaluation by your coach during the first week of camp. On the first day of boot camp, we will set up a day and time for your evaluation. Registration is just $239 for 3 days/week. That’s only $19.95 per session for a 4 week camp! Garden State Adventure Boot Camp is for you!